A honeymoon baby, Susan was born just 9 months and 8 days after her parents eloped. She assumed that, when the time came, starting her own family would be equally effortless. It wasn’t. A twin miscarriage signalled the beginning of the long, hard journey of infertility. Now the mother of two children, Susan is also a Stephen Minister and frequent small group leader. For several years, she has led a Bible study series for infertile couples. This non-denominational ministry enables couples to confront issues of grief & suffering, fears of hope dying along with embryos, and powerful feelings about God’s apparent silence—all within the context of scripture-based lessons and peer support. Pregnant with Hope contains many of the messages shared in those sessions, as well as ten couples’ first-person accounts of their faith-challenging, and ultimately rewarding, infertility journeys. It is an excellent resource for couples struggling with infertility, and also for the clergy, doctors, family and friends who constellate around them. 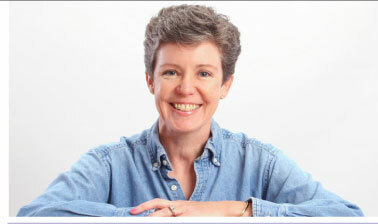 Susan earned a BA from Davidson College, and an MBA from the University of Chicago. She and her husband, Branko, a clinical psychiatrist and the founder of FaithWorks, are enjoying raising their children. Together, they spend time outdoors, at local bookstores, and experimenting with vegan recipes.